American Forests inspires and advances the conservation of forests, which are essential to mitigating climate change. 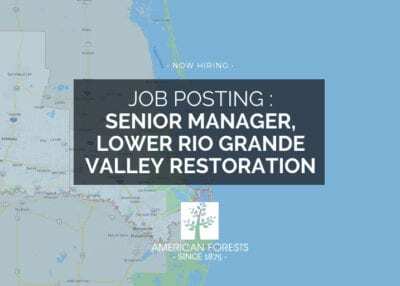 We do this by protecting and restoring threatened forest ecosystems, promoting and expanding urban forests, and increasing understanding of the importance of reforestation. 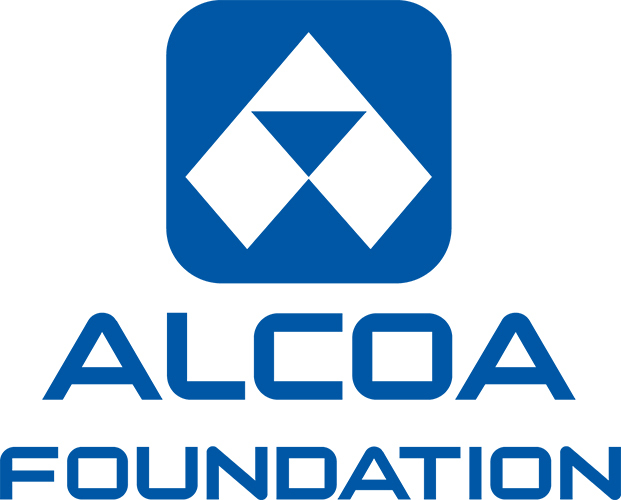 Founded in 1875, American Forests is the oldest national nonprofit conservation organization in the country and has served as a catalyst for many key milestones in the conservation movement, including the founding of the U.S. Forest Service, the national forest system and thousands of forest ecosystem restoration projects and public education efforts. 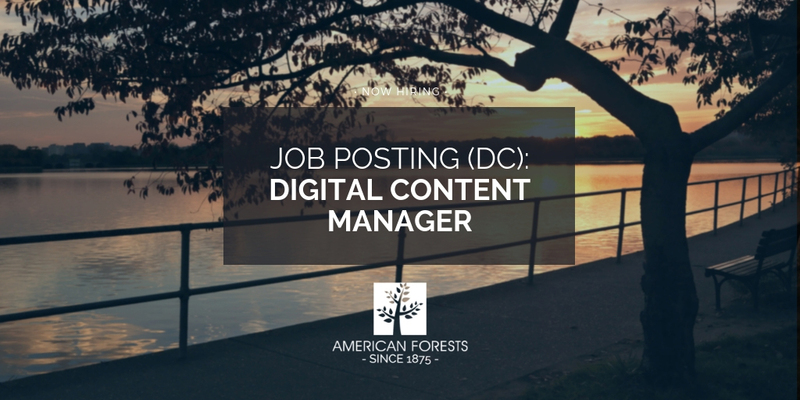 The Digital Content Manager will be responsible for the management of a historic conservation group’s website, social media, and digital marketing that will be overseen by the Communications Director. 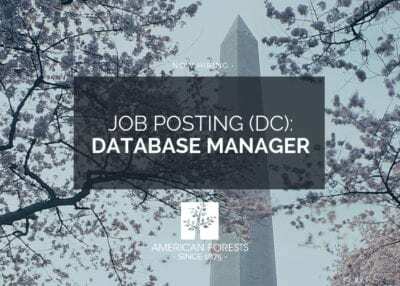 This role will provide, develop, implement and manage communications activities and projects for website, e-mails, messaging, digital ads, and social media. Bachelor’s degree is required. A focus in marketing or communications is preferred. American Forests is an equal opportunity employer. 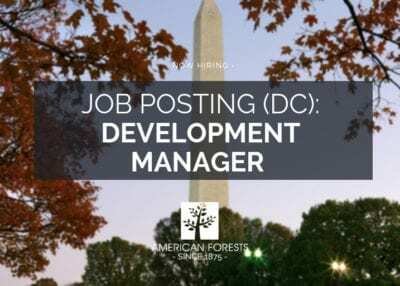 Please submit a cover letter and resume to jobs@americanforests.org. Applications will not be accepted or reviewed elsewhere. The position will remain open until filled.